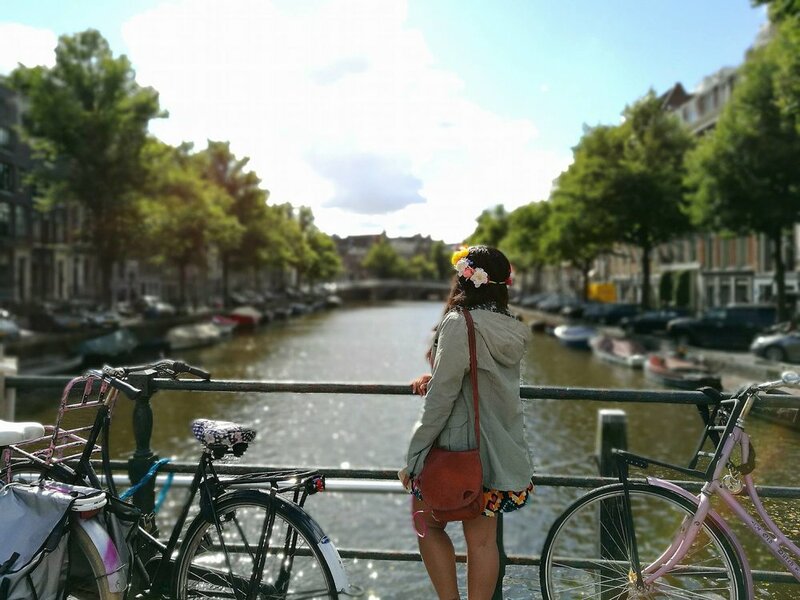 Traveling around Europe is probably every Filipino’s wildest dreams. 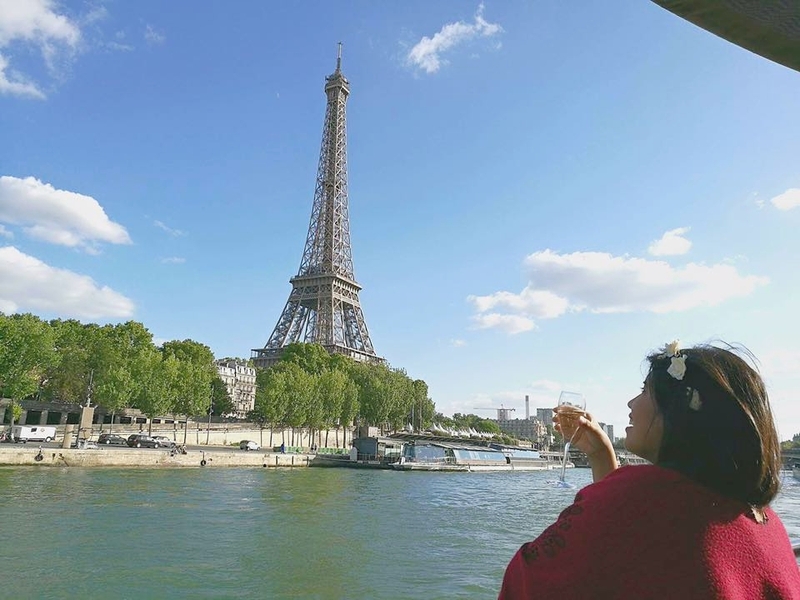 Of course, who wouldn’t want to see the Eiffel Tower in Paris or the Sagrada Familia in Barcelona at least once in their life, right? The common misconception about traveling to a European Country is that you have to be a millionaire to be able to do it. That’s not exactly true. You need just a little more than enough to be able to do it. But more than anything else, you need to have a Schengen Visa. Visa Application for Schengen is pretty expensive, so you have to get it on your first try. To ‘guarantee’ this, we often seek the help of tour agencies who charge us with exorbitant service fees on top of the visa fees! I’m writing you these tips all for free.. But if you need a little more extra coaching services regarding visa applications, solo backpacking, working abroad, etc., You can hire me to teach you one-on-one for a minimal fee! I have traveled to 95+ countries and I’m sure that I’m in the right position to be your mentor! Click here to learn more about our coaching services. The Schengen Area consists of Austria, Belgium, Czech Republic, Denmark, Estonia, Finland, France, Germany, Greece, Hungary, Iceland, Italy, Latvia, Liechtenstein, Lithuania, Luxembourg, Malta, Netherlands, Norway, Poland, Portugal, Slovak Republic, Slovenia, Spain, Sweden, and Switzerland. Application for Schengen Visa shall be made at the consulate of the country of your first entry or the consulate of the country where you will stay longest. If that country is underlined as listed above, application shall be submitted at VFS Global Philippines (their respective consulates outsourced their visa processing with VFS). Application shall be made within 3 months prior to intended flight. This will also ensure that you have time for remonstrance, if all else fails. 6) Travel detail which includes the flight reservation and hotel reservations (need not be paid yet, so it is recommended that you just make a hotel reservation instead of staying at a friend’s house for purposes of visa application), as well as your day-to-day itinerary. 9) Travel insurance that covers the entire duration of your intended stay with minimum coverage EUR 30,000. You can use AXA Schengen as it’s really cheap and they are accredited by the Embassies. Your supporting documents will vary depending on your source of income. 1) For employees- Certificate of Employment with monthly salary, approved leave of absence and income tax return. 2) For Self-Employed including Digital Nomads- Business Registration for current and previous year and Income Tax Return (That’s why you need to register with the BIR! Income Tax Return is very important!). 3) For Students- Enrollment Certificate from your school, approved leave of absence (if applicable), and Affidavit of Support from parents (preferably in Red Ribbon Authentication). 5) For Household Helpers and Personal Assistants- A Special List of Requirements is provided. Please visit the website of the country where you will apply or VFS Global, if applicable to get a copy of the special list of requirements as it might vary. Note: You must show deep rootedness in the Philippines. If you have land/condominium unit titles, car registration certificates, lease contracts, etc. it is highly recommended that you attach them too. 1) Prepare your application. Make sure that you fill out the forms truthfully and legibly. 3) Schedule your appointment through VFS Global or the proper consulate agency. 4) Be there at least 30 minutes before the appointment schedule and bring all the necessary documents. Dress appropriately. 5) When an interview is required, be confident and answer their questions truthfully. 6) After the application, wait patiently. They will send you an e-mail or text message if your visa is out for release. 7) This is the moment of truth! Pick up your passport and see if you have your visa! 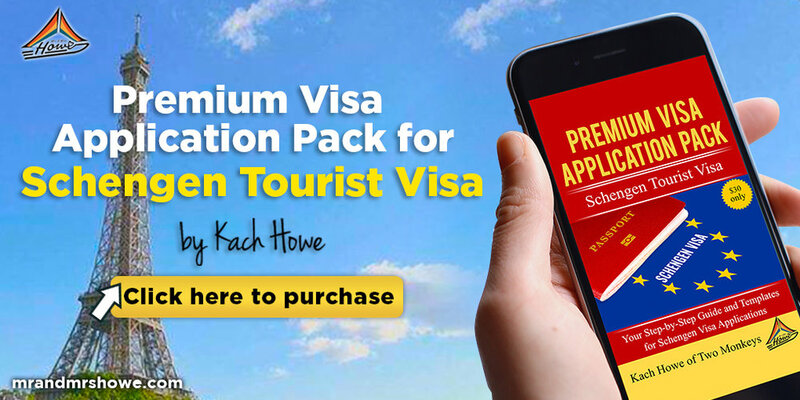 The visa processing fee is EUR 60 for short stay visa. Children ages between 6-11 years old are charged EUR 35. Children under the age of 6 are free of charge. 2) Is the visa fee refundable if my visa gets denied? 3) Do I need ‘show money’? Yes. Your bank account for the last 6 months should show an amount which could cover your day-to-day expenses (More or less EUR 50/day), flight and hotel accommodations. See? You don’t have to be a millionaire! 4) What if I get rejected? You may submit a remonstrance letter or apply again. You may reapply at a different embassy. 5) How long is the validity of the Schengen Tourist Visa? A short-term visa is valid for 90 days, the number of days of stay will vary from one person to another, depending on your submitted itinerary and the decision of the consulate. 6) Is it valid for employment? No. It is strictly for travel purposes only. 7) Can I use my visa in non EU countries? With your Schengen Visa, you can also visit Albania, Antigua and Barbuda, Belarus, Bosnia and Herzegovina, Bulgaria, Columbia, Croatia, Cyprus, Georgia, Gibraltar, Kosovo, Macedonia, Montenegro, Romania, Sao Tome and Principe, Serbia, Taiwan, and Turkey. 8) What is Red Ribbon Authentication? This is the authentication of documents made by the Department of Foreign Affairs. These gives your documents validity and an operative effect after it has undergone an agreed-upon authentication procedure. It attests to the genuineness of the signature appearing on the document for the purpose of identifying and giving credence to the official acts of the notary public or certifying officer on it for use, if and when required, as instrument of evidence in foreign countries. 9) Where can I get the Red Ribbon Authentication? Know more about where to get this authentication, the process and the requirements here. (Cover yourself up and use a pair of shoes on your DFA appointment. Otherwise, you will be refused entry). 10) Is it advisable to avail of the services of a tour agency?